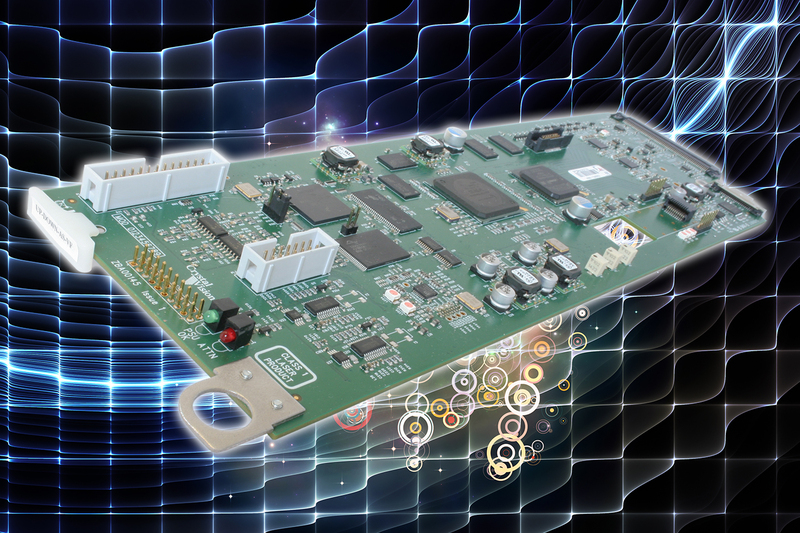 3G/HD/SD synchronising up/down/cross converter with embedded audio handling. It can perform two different conversions at the same time, gives the output picture quality that broadcasters standardise on, and will keep the output valid with two framestore synchronisers downstream of the converter. It's one of the products that benefits from the dual syncs distributed from the Vision frame – with more outputs, easier wiring and the option of a backup reference. Up, down or cross converting untimed sources that demand the highest quality conversion and need a continuous stable output to keep the MPEG encoder happy, and perfect for studios that need to operate in HD and SD simultaneously. See who's using our up and down converters. Try out the UP-DOWN-AS-VF VisionWeb demo (opens in new window) – you'll see how easy it is to operate the UP-DOWN-AS-VF from your web browser, while exploring the full functionality of the product. UP-DOWN-AS-VF allows flexible up, down and cross conversions between 3Gb/s, HD and SD sources, gives the output picture quality that broadcasters standardise on, and can perform two different conversions at the same time – providing configurable dual outputs and perfect for studios and playout areas that need to operate in HD and SD simultaneously. With four up/down/cross converters available in the Vision range, UP-DOWN-AS-VF is the converter to choose for applications where signal timing is required and data processing not required. UP-DOWN-AS-VF wins side-by-side evaluations on the quality of its up conversion. 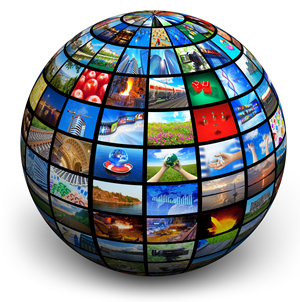 UP-DOWN-AS-VF's up and cross conversion uses motion adaptive video de-interlacing, which maximises the picture’s vertical resolution while choosing the best processing method based on the video content. The vertical resolution of the picture is doubled by considering both fields, and even if the picture has moved during the time delay between the two fields, UP-DOWN-AS-VF's movement detection allows it to use the full vertical resolution available – therefore preserving the detail. UP-DOWN-AS-VF features Crystal Vision’s acclaimed proprietary down conversion, which avoids aliasing while retaining picture sharpness thanks to the sophisticated two dimensional filtering. UP-DOWN-AS-VF can perform two conversions at the same time, with two separate converters on the card: one is used for the up and cross conversion, with the other used for the down conversion. UP-DOWN-AS-VF gives dual outputs, with two output groups – 1 and 2. Each output group can be individually selected as either SD or 3G/HD, making it possible to configure both outputs as SD, both outputs as 3G/HD (720p, 1080i or 1080p), or one output as 3G/HD with the other as SD. If Outputs 1 and 2 are both selected as 3G or HD, then the outputs will be identical. Providing up to three copies of each output also reduces the need for additional distribution amplifiers in the system. One of UP-DOWN-AS-VF's particularly powerful features is that it will constantly put out HD and SD on the same pins regardless of the input, thanks to its smart routing. Once set, the output selection will remain true irrespective of any change in the input format – which means you won’t need to change your wiring. UP-DOWN-AS-VF can be used with up to four audio groups – making it ideal as your main signal path up/down/cross converter if you're working with embedded audio. It will de-embed the four groups and convert them to the appropriate format before re-embedding them. A matching audio delay can be added to match the video conversion and so co-time the video and audio. UP-DOWN-AS-VF has the ability to deal with any aspect ratio conversion requirements when up and down converting. A multitude of different aspect ratio conversions are available, meaning that UP-DOWN-AS-VF can deal with any conceivable misshaped image that comes in, allowing you to quickly put anything on air that you get from anywhere in any condition. (See the specification for full list of conversions.) Each of the standard aspect ratios can be individually adjusted away from the default values to create customised versions by using independent sets of size, position and crop controls. 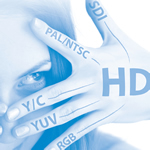 UP-DOWN-AS-VF also ensures the picture is the right shape at all times by coping with both analogue and digital SD blanking widths – which prevents an HD signal having black lines down the side when up converting, and prevents SD signals from losing the sides of the picture when down converting. UP-DOWN-AS-VF can be used as an SD to SD aspect ratio converter if required – useful for those who need to change the aspect ratio of their Standard Definition sources and prefer to buy an up converter (rather than a dedicated ARC) as a long-term purchase. UP-DOWN-AS-VF includes signal timing functionality. To keep the output valid at all times, UP-DOWN-AS-VF has two synchronisers downstream of the converter – one in the 3G/HD path and one in the SD path – which means that it gives a continuous stable output in the two required formats even when the input standard changes. Whatever format or timing the signal arrives with, you'll get timed signals in two desired formats to use in your system. There are two operational modes: synchroniser and delay line. In synchroniser mode UP-DOWN-AS-VF takes its timing from the selected reference and will automatically synchronise sources that are up to a frame apart, fixing any incorrect frame rates plus any delays. There are two references connected via the Vision 3 frame, and ten options for the reference selection: if the reference and video frame rate become incompatible, the card will attempt to use the other listed reference source and if that is not compatible, lock to the input video. (See the Specification for full details of the options available). Cross-locking allows a 3Gb/s, HD or SD input to be referenced to either HD tri-level syncs or SD Black and Burst, providing they share the same frame rate. Audio signals can optionally be made to track this dynamic video delay to maintain lip-sync. Delay mode takes its timing from the video input; the synchroniser is bypassed and just the bulk delays are active (see next section for delay details). Delay mode is activated either manually by selecting the Video>Freerun option or automatically if the selected references fail. UP-DOWN-AS-VF will synchronise video containing Dolby E, linear audio or both – allowing a mixture of Dolby E and linear AES within the same audio group. It separates the Dolby E and linear audio and synchronises both types in the appropriate way before re-embedding the audio. It will also auto-correct timing errors with the guardband, aligning it correctly with the output video switching point. UP-DOWN-AS-VF provides a flexible range of video and audio delays to help match all your signals and ensure Dolby E alignment. Some of these delays are of fixed length, while others are dynamic. In synchroniser mode the synchroniser delay automatically adjusts over a range 0 to 1 frame to provide the desired video output timing. It is easy to compensate for mistimed sources elsewhere in the system: the output timing can be fully adjusted with respect to the reference using three time-based controls: 0 - 40ms adjustable in 0.1ms steps, 0 - 100us adjustable in 1us steps and 0 - 1us adjustable in 5ns steps. Each supported video format can have independent timing adjustments, to allow an offset between the two output paths if required. Up to three frames of video delay (adjustable in whole frame steps) can be used to match big video delays in the system, with this delay global to all outputs and output formats. In delay mode the video delay can be adjusted using the one, two or three frames of video delay (global to all outputs and output formats) plus the three time-based controls (0 - 40ms, 0 - 100us and 0 - 1us) which allow independent timing adjustments for each supported video format. In both modes, ticking the Dolby E align box will add a further 0.5 frames of delay to the video to ensure correct Dolby E alignment. All audio will be set to the same delay as the video; ticking the Dolby E align box will ensure that the Dolby E guardband is correctly aligned in the outgoing video and will add an extra 0.5 frames of delay to the linear AES to ensure it matches the video delay. A fixed audio delay for Dolby E of zero, one, two or three frames is available to match the equivalent video delay. UP-DOWN-AS-VF's audio resampling ensures a smooth matching of the audio and video delay, and you can use the eight audio resamplers on the channel pairs to avoid clicks and pops in the audio should the video drop a frame. Any embedded audio channels can be selected to bypass the resamplers, with Dolby E automatically bypassing them. UP-DOWN-AS-VF has video and audio signal probe functionality making it useful for flagging up faulty signals, especially in multi-channel applications. It can monitor a wide range of parameters including video format and presence, references present and incompatible, video black, video frozen, audio present, audio silent and Dolby E present, with the card able to provide warnings of any problems via SNMP traps. UP-DOWN-AS-VF can pass Ancillary Timecode from the input to the output and use the ATC data to get the interlace phasing correct when down converting from 1080p or 720p. If you need to up and down convert signals from beyond your local equipment bay, it’s easy to give UP-DOWN-AS-VF integrated fibre connectivity. 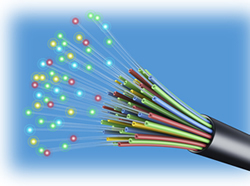 Just order either the FIP-VF fibre input option, FOP-VF fibre output option or FIO-VF fibre input and output option. UP-DOWN-AS-VF can also support a CWDM laser if required. 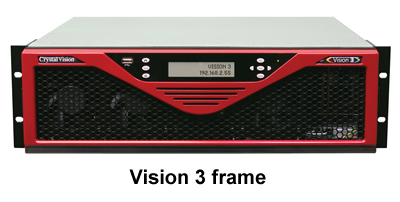 Fitting in the standard Vision frames (currently available in 3U size), UP-DOWN-AS-VF is a space-saving 96mm x 325mm card that sits in one frame slot - allowing up to 20 up and down converters in 3U. UP-DOWN-AS-VF can be used with three different single slot frame rear modules to access the inputs and outputs. For more visual technical information, download the UP-DOWN-AS-VF block diagram.